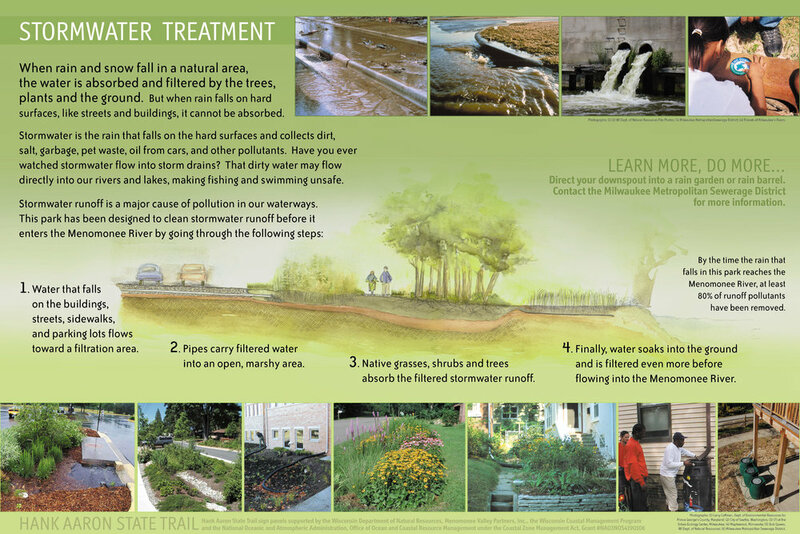 Sixteen signs along the Trail inform users about the the culture, history, and environment of the Menomonee Valley and Soldier's Home grounds. Can you visit them all in one day? Walk or ride the trail and take a step - or ride - back in time! Please tag us in your photos so we can follow along: #HankAaronStateTrail. The Trail will take you There! Click on the images to view the signs along the trail. 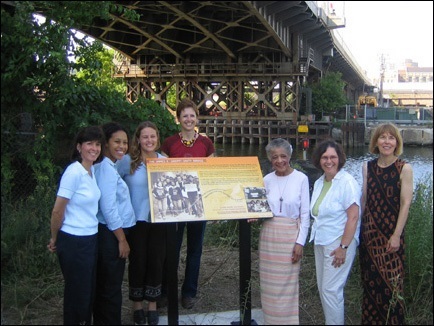 The James E Groppi Unity Bridge - click on image to read the sign. This sitting area is found along the Menomonee River near Miller Park. Click on image to read the sign. 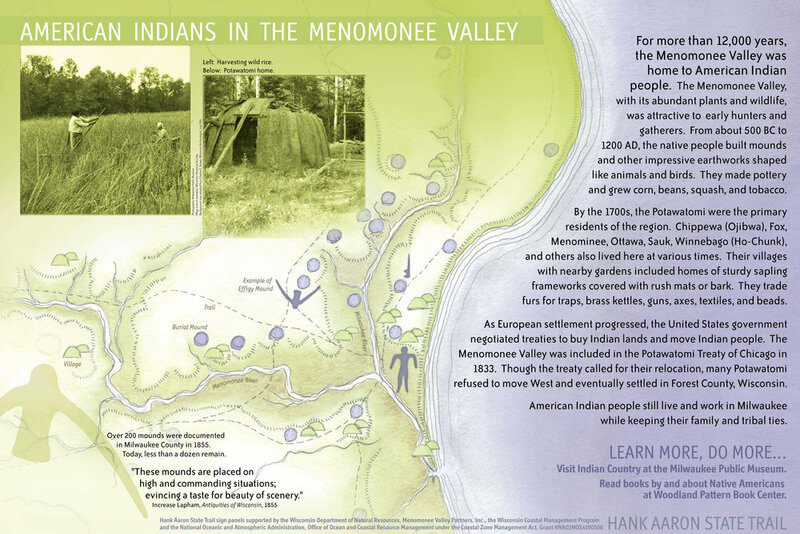 Menomonee Valley Partners and the Wisconsin Department of Natural Resources collaborated in 2004 to produce 12 interpretive signs for the Hank Aaron State Trail (HAST). The signs were funded by the DNR and the Wisconsin Coastal Management Program. They were designed by local graphic and landscape designer Nancy Aten. The new signs expanded upon the existing three signs at the Miller Park east parking lot. Two additional signs were added in the Milwaukee Soldiers Home segment of the Trail and were accomplished in partnership with Milwaukee Preservation Alliance and several donors.